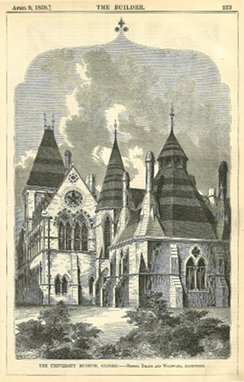 This database is a new tool enabling researchers to find published descriptions and illustrations of buildings appearing in weekly editions of two important British architectural periodicals published during the period from 1842 to 1914. This website is an ongoing project that will continue to develop over the coming weeks and months, with new material being added daily. To date, nearly 2,000 citations to buildings have been posted, and users can easily search this database by name of architect, by name or type of building, by name of city, town or village, by name of client, and by name of country. The Building News, with digital scans of every page covering 49 volumes from January 1860 to December 1920 (Volume 6 to Volume 119, but lacking some volumes). This incomplete run has now been digitally scanned through the auspices of the IAC Project (Internet Archive Canada - website Archive.org) at the University of Toronto. In addition, many libraries in the United Kingdom, Europe and North America hold original bound volumes and/or microfilm copies of both journals which can be examined and studied.